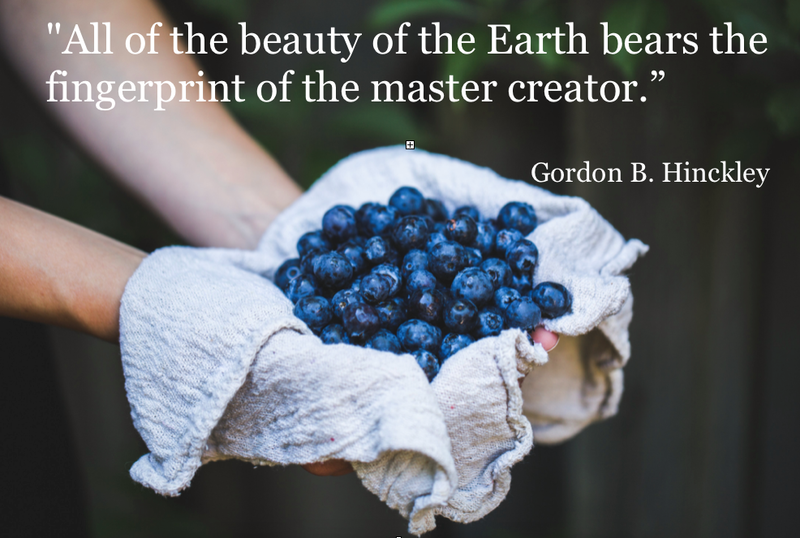 Click here for the LDS Gospel Topics page on Environmental Stewardship. Scriptures, articles, talks by church leaders and more. 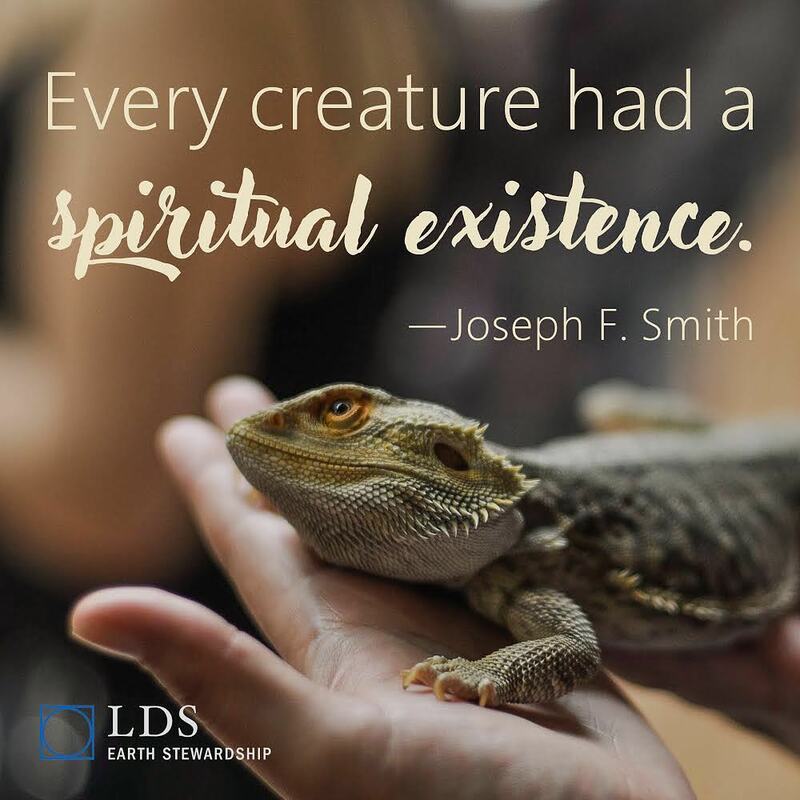 A new database is available to search the scriptures and church leaders on topics related to the Creation and our care for it in the resource library of LDS Earth Stewardship. 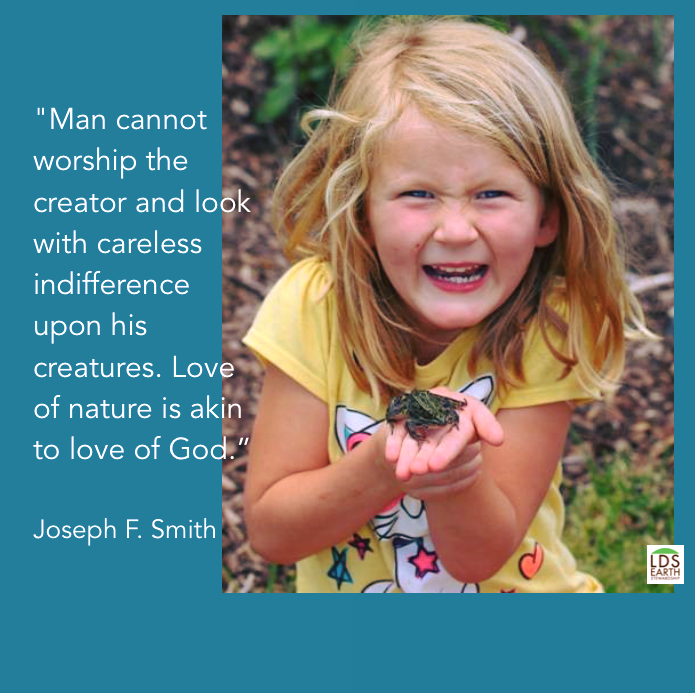 LDS Earth Stewardship is creating monthly Family Home Evening lessons that are related to the scripture study handbook“Come, Follow Me”. 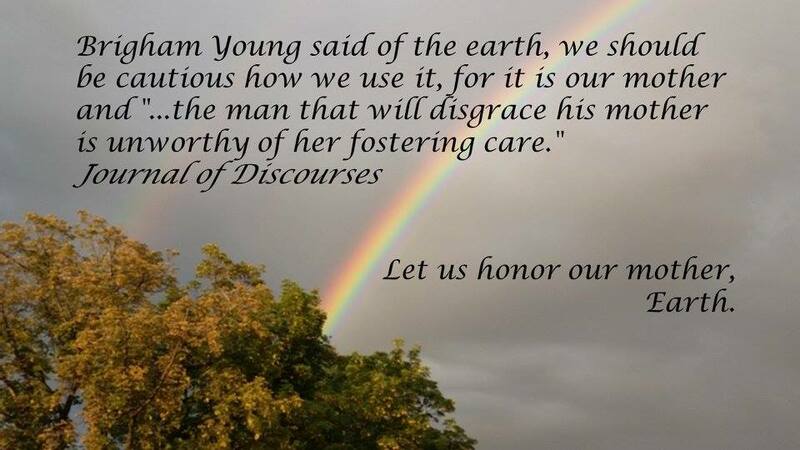 Below are some images with quotes from LDS leaders that have been posted by LDS Earth Stewardship.